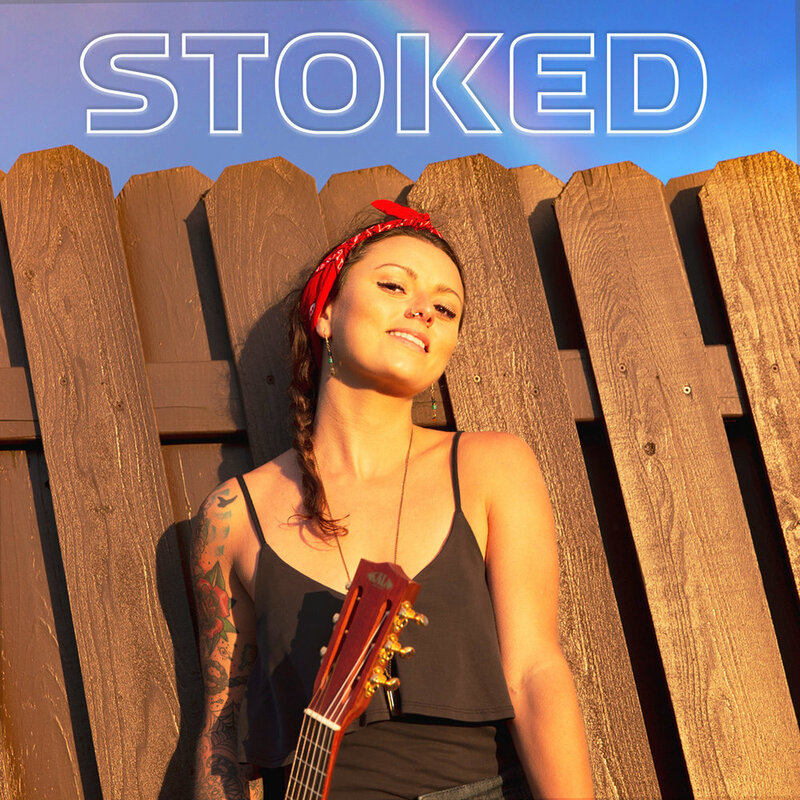 “STOKED” is going to make you smile from ear to ear! Upbeat, Colorful and Fun, KJ’s newest single “STOKED” will be released on April 19th, with an official music video to follow on April 26th! Stay tuned! KJ and Higgs collaborate on catchy new love song! First and Second place winners of the 2018 Hawaii Songwriter Festival Competition collaborate on new single “Grateful For You” recorded and produced by KJ! KJ will be performing at Wanderlust Oahu at Turtle Bay Resort on the North Shore! Catch her at 2pm on Friday March 1st on the Main Stage and 7pm in The Listening Room. Kimberly June is ‘like sunshine walking into a room’— radiating from deep within, calling you home with her smile, soulful vocals, honest lyrics and rich, percussive guitar playing. Originally from Maine, raised in the Dominican Republic, KJ is an island-country girl with a deep love for nature, truth and wide open spaces. After attending Berklee College of Music and Belmont University in Nashville, she signed her first publishing deal in 2011 where she was mentored by some of the top writers, producers and music executives in the country. She recently landed an endorsement with Kala Brand Music and in 2018, had songs featured on TV shows like Nashville and Degrassi High. At home in Hawaii, KJ performs on all the major islands at intimate venues, festivals and yoga classes, as well as supporting larger acts that pass through. (She will return to the main-stage of Wanderlust Oahu in 2019) Her single, Love and be Loved, was a finalist winner at the 2018 Hawaii Songwriter Festival, where she shared the stage with some of LA’s top writers and Kenny Loggins. Between Hawaii and LA, she is currently working on her album “Just KJ”, featuring all new songs written since her Saturn-return- poetic adaptations of her very own life experiences with a touch of light-hearted sarcasm. New singles coming this year include “STOKED” and a collaboration with Hawaii-based rapper, Higgs, called “Grateful for You”. She fills her cup by traveling often, practicing yoga and creating healthy recipes from her garden in Holualoa, Hawaii.